« Why the lack of OpenID-enabled Rails apps? 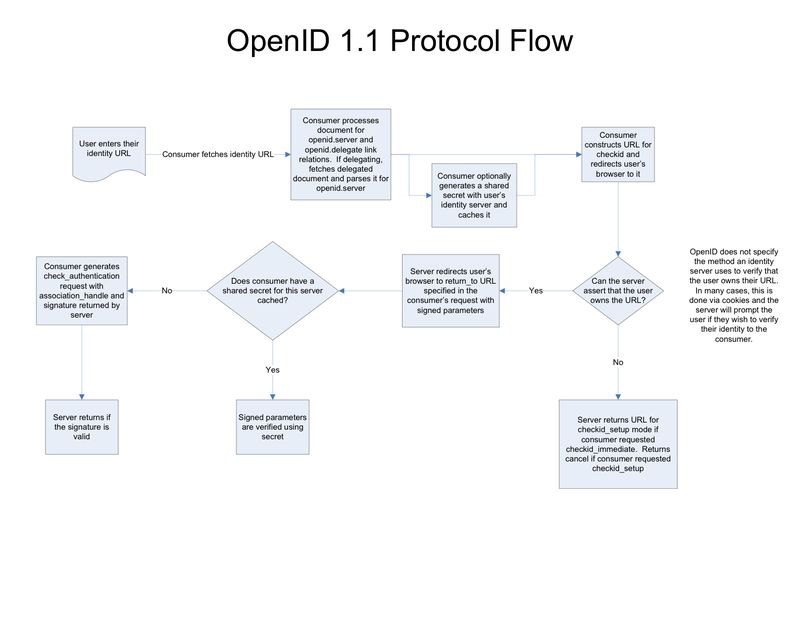 There are a number of diagrams illustrating OpenID, including the flow diagram in the spec, this one from Brain and JanRain, and this nice one from Paul and Technometria. But none yet matched what I needed. The diagram is part of a future OpenID cheatsheet, which itself is part of the future screencast on OpenID development for Rails. And I’m happy if others use it for other things. As usual with a diagram, there are tradeoffs and opportunities for errors or misunderstandings. I’d like your feedback. I split out the HTTP requests from responses, so the order of this could be more clear, even though this adds steps. I also skipped certain details for brevity. I considered coloring actions that involve the user, but just used the text (e.g. “user logins in …”). I’m sure I let some errors creep in. Any comments for making this diagram more accurate & effective? This entry was posted on Friday, February 23rd, 2007 at 10:20 PM and filed under openid. The diagram is really good, easy to understand. I wonder if I might be allowed to use it in an introductory article on OpenID on my blog? Please do. And if you get any feedback on improving the diagram, please steer it here. Thanks! 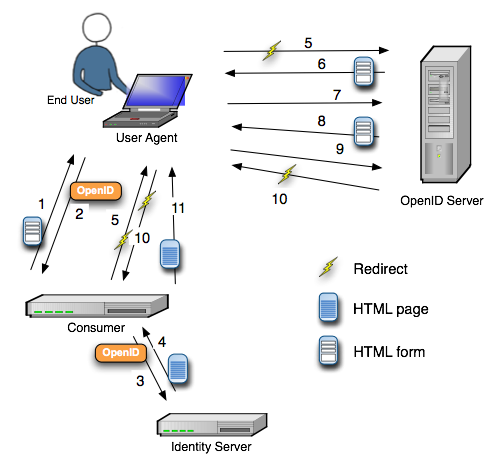 I understand you said that others are welcome to use the diagram, but to make sure I’m dotting my i’s, I’d like to get your permission to come up with a diagram based on this for an article on OpenID I’m writing. I will of course credit you.